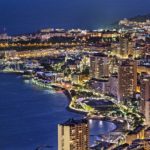 Explore two of these highlights across the Mediterranean, from the wealthy city-state of Monaco to the hilltop town of Eze. Tour a traditional perfumery in Eze, watch the changing of the guard at Monaco’s Royal Palace and also do a lap of Monaco’s Formula One Grand Prix circuit. Tour group size is limited to eight individuals, ensuring plenty of personalized attention from your guide. You’ll travel by private air-conditioned vehicle, exploring the culture and history of the French Riviera.